Not all stand mixers are created equal. 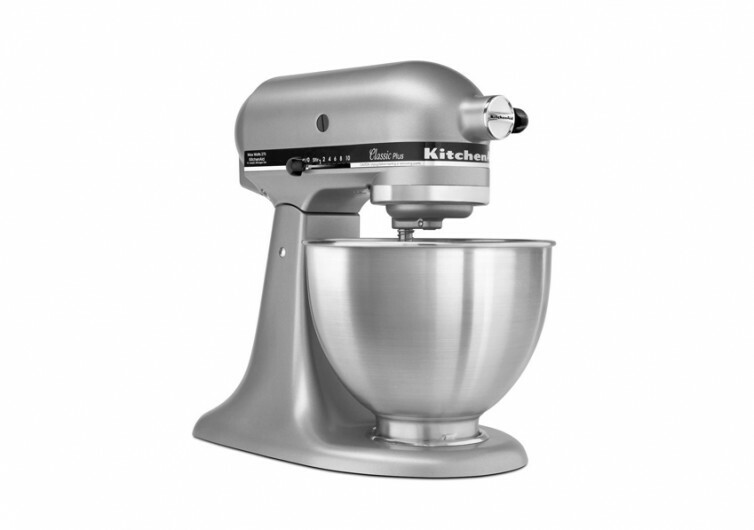 And if you happen to have the KitchenAid Classic Plus Stand Mixer, you’ll know that there’s no other quite like it. With its all-metal construction in a stunning silver finish, this stand mixer can easily complement any modern kitchen, be it at home or in a professional restaurant setting. The Classic Plus comes with a 4.5-quart mixing bowl that is made of only the highest possible quality of stainless steel, designed specifically to keep your dough hygienic and free from any contaminants. 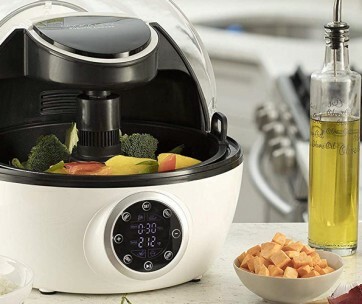 Its large capacity means you can make 3 loaves of fluffy bread, 6 pounds of creamy mashed potatoes, or even 6 dozen scrumptious cookies in just one batch. 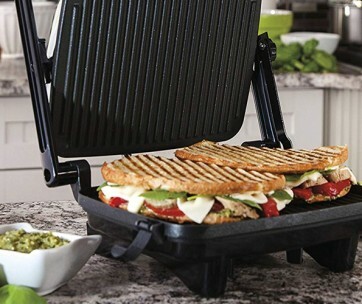 Powered by a 300-watt motor, the Classic Plus comes with 10-speed settings. However, its start is always a gentle purr. 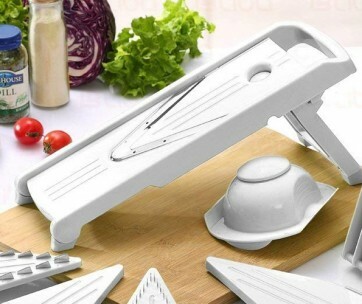 After all, you don’t want your ingredients to be splattered on your kitchen wall or even on the countertop if you instantly run the stand mixer at high speed. The good thing about its 10-speed settings is that you get to whip up any kind of recipe that you want. Each speed setting is fully optimized so you get the best results for your baked goodies every time. 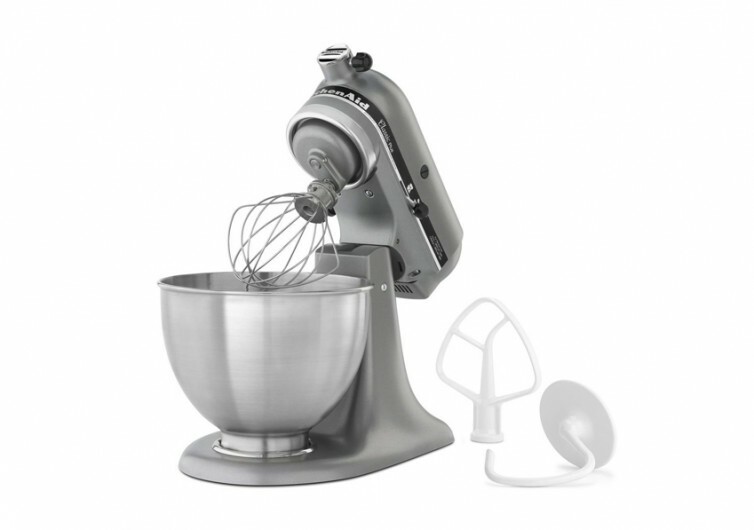 Like most stand mixers, the Classic Plus also comes with a tilt-head design. This makes adding ingredients less messy and definitely more fun. The base of the stand mixer is equipped with rubberized feet so you can be sure it stays stable regardless of how intense the mixing gets. Plus, it weighs 22 lbs which further adds to the stability of this kitchen gadget. KitchenAid’s Classic Plus stand mixer is a worthy kitchen aid for those who love to make baked goodies as well as any other recipe that calls for the mixing of certain ingredients. It’s stable, hygienic, and easy to clean.